Arnica Montana in a dilution of 6C. 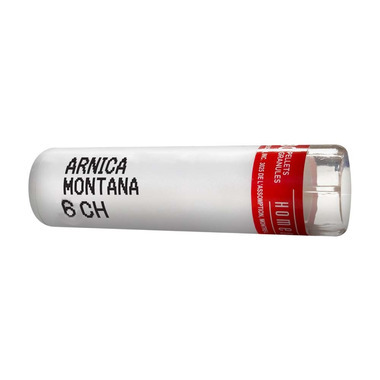 Arnica is mainly used to treat bruising, swelling, pain relief, arthritis, and injuries. Non-medicinal ingredients : Lactose, saccharose.